For the first time in the history of Indian Cinema, the charming actress Deepika Padukone is collaborating with Meghna Gulzar for a movie which focuses on social issues. 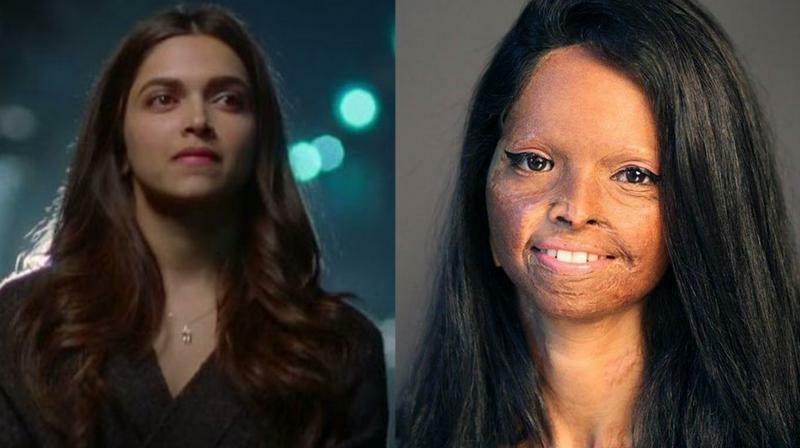 The film titled “Chhapaak” is based on the real-life story of Laxmi Agarwal who survived a major acid attack at the age of 15. Deepika’s character has been named Malti in the film and it is supposed to hit the theaters on January 20, next year. The first poster which unravels the first look of Deepika has been recently shared by her across the social media. Everyone in the Bollywood industry is astonished by her look and came out in her support. Laxmi ( the main character on whom the story is based) was just 15 when a man proposed to him for marriage. She refused to marry him and hoped to move ahead in life, shocked by the refusal and rejection the man approached her with his two friends and threw acid over her face. Without considering this as a setback in her life, Laxmi Agarwal chose to fight against such culprits actively and also started campaigning against free sale of acids across the market. She also established an organization in the wake of such crimes and named it Stop Sale Acid to attain her goals. Her efforts have been recognized by worldwide and to encourage her the former First Lady of US Michelle Obama handed her the International Women of Courage award in 2014. The shooting of the movie has finally begun and it is set to be shot in Delhi. The film is being jointly produced by Fox Star Studio’s, Meghna Gulzar ( Mriga Films) and Deepika Padukone (KA Entertainment). This will be Deepika’s next film in pivotal role after Padmavaat released in 2018. We hope the best for her and her assignments in future! Let us know your thoughts on the same! Previous articleRussel Finishes Off in Style! Next articleWhat’s New on Apple iPhone?